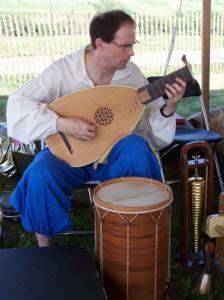 During the Renaissance the lute held the highest respect of all musical instruments. The repertoire for this courtly instrument is vast. Delicacy, expressiveness and nuance of performance were made possible when the use of a plectrum to pluck the strings was replaced by use of the fingers. The lute was an ideal accompaniment for voice and other soft instruments, and the most eloquent of all solo instruments. 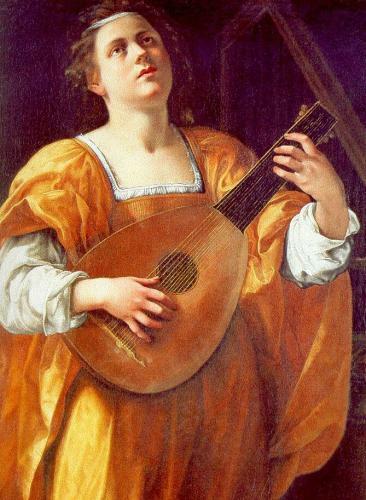 In paintings and other art works the lute is often associated with Apollo, angels, or Orpheus, and it is often mentioned at climactic points in tragedies. 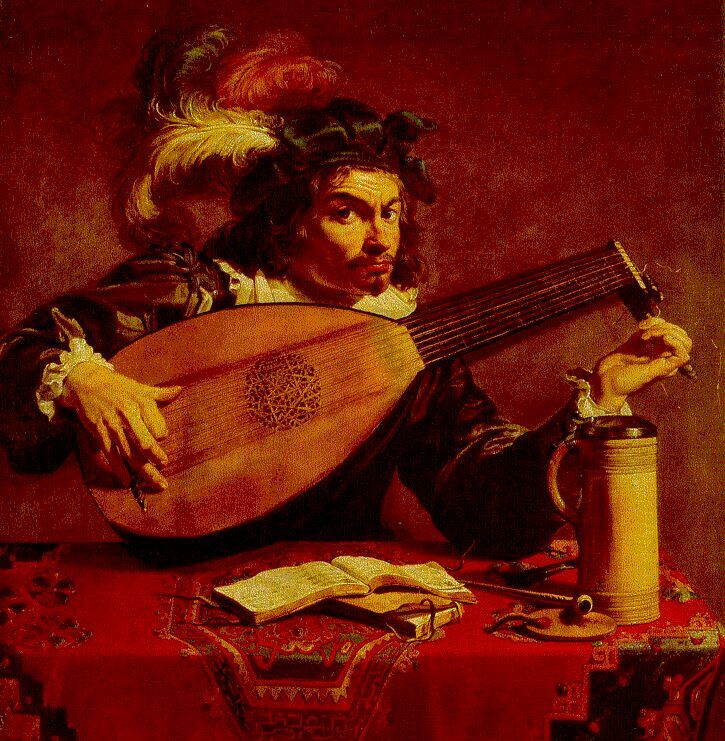 Although the greatest repertoire for the lute is from England, the best makers were Germans who lived in Italy. The delicacy and expressiveness of Renaissance lute music is mirrored in the light construction of the instrument. Its belly is made of pine, often only one-sixteenth inch thick, with a carved sound-hole or rose in the middle. Some lute bodies will allow light to pass through. Wooden bars glued underneath the belly strengthen it and add to the resonance. The pear shaped back is constructed from several ribs, shaped and bent over a mold, and then glued together edge to edge. These ribs may be made of sycamore, cedar, yew, or cypress, and often are no more than one-thirty-second of an inch in thickness. Stringing is light since the body is not able to withstand twelve or more strings at high tension. 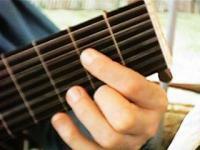 Plucking is done with the soft part of the fingers and thumb, not the nails. 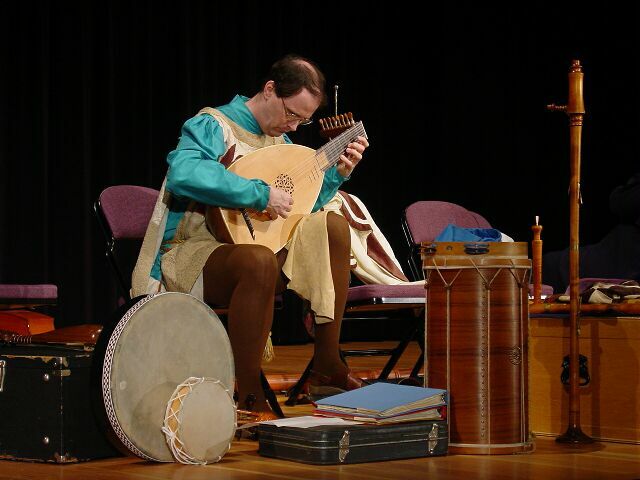 The best lute players use little motion of either hand. 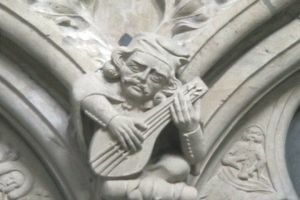 The lute goes out of tune easily, which prompted Mattheson to complain that a lutenist spends most of his life tuning rather than actually playing the instrument. 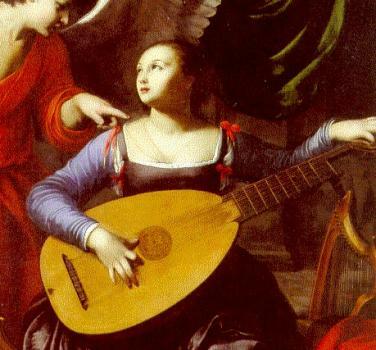 During the Baroque period, the lute was replaced by various keyboard instruments which could more easily accomodate the new virtuoso solo and continuo style playing typical of that period. What is the cause, my Dear-Renowned Lute That are of late so Silent and so Mute? The World is grown so Slight, full of New Fangles And takes their chief Delight in Jingle-Jangles. Musica Antiqua's lute has eight courses consisting of fifteen strings. It was built by James Mackie of Minneapolis and is made of cherry with a spruce top and rosewood finger board. Audience members looking at the lute are always amazed at its light weight.